Technically, The Wooden Sky was not the headlining band at the Bootleg Theatre on the night of Tuesday, November 13th, 2012. 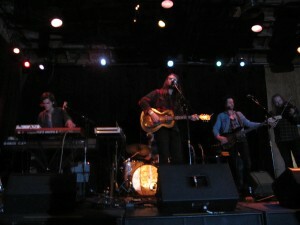 The Toronto-based group that is known for a rustic brand of indie folk rock actually played second in the line-up, sandwiched between bands Chief and Western Lows. 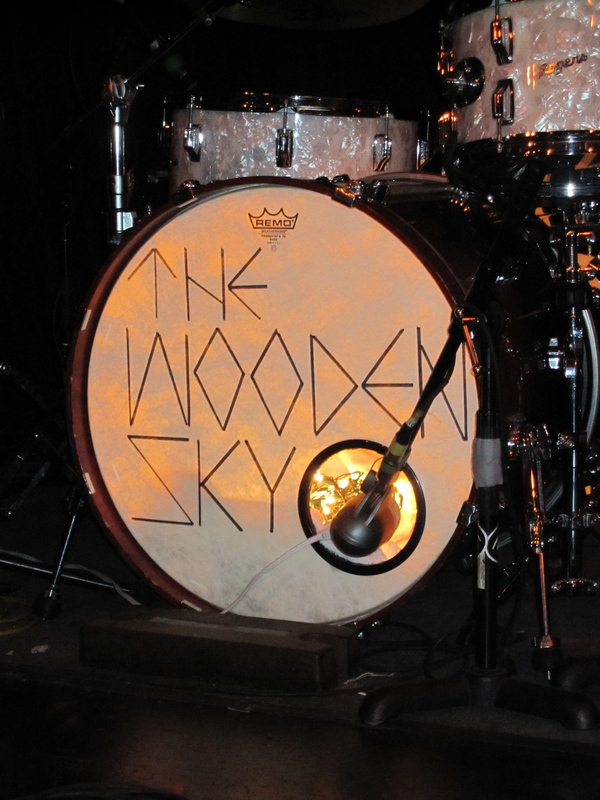 The vibe of the room on that evening, however, said that The Wooden Sky was the band to see. 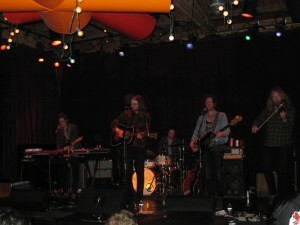 After an enjoyable set courtesy of Chief, the crowd began to stir in anticipation of The Wooden Sky. When Mike Moonves of Chief joined the audience, he could be heard saying to his friends that the next band was really incredible, and the admiration in his voice told me that he wasn’t just being kind. 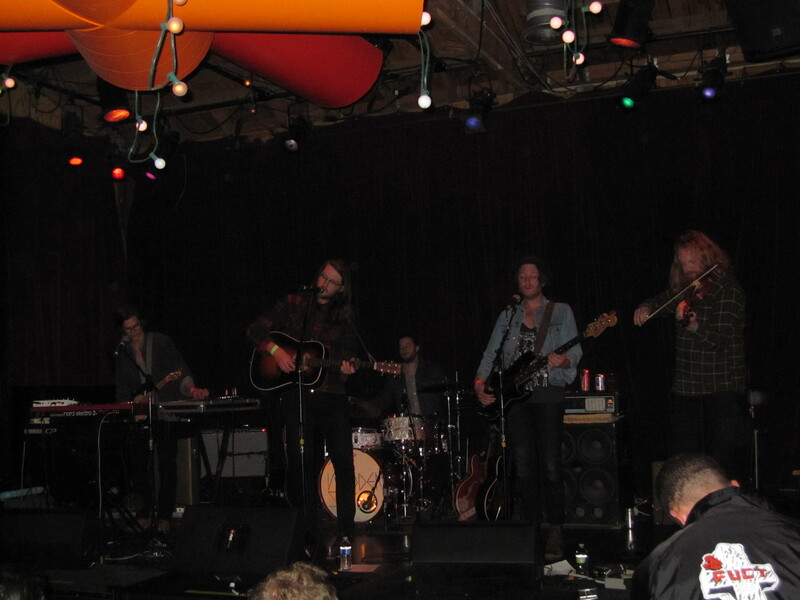 As they set up their instruments and prepared for their set, the guys of The Wooden Sky, Gavin Gardiner (lead vocals, guitar), Andrew Wyatt (vocals, bass), Simon Walker (vocals, piano), Andrew Kekewich (percussion), and Edwin Huizinga (violin), had the mellow air of a group of campers casually setting up their home base for the night. 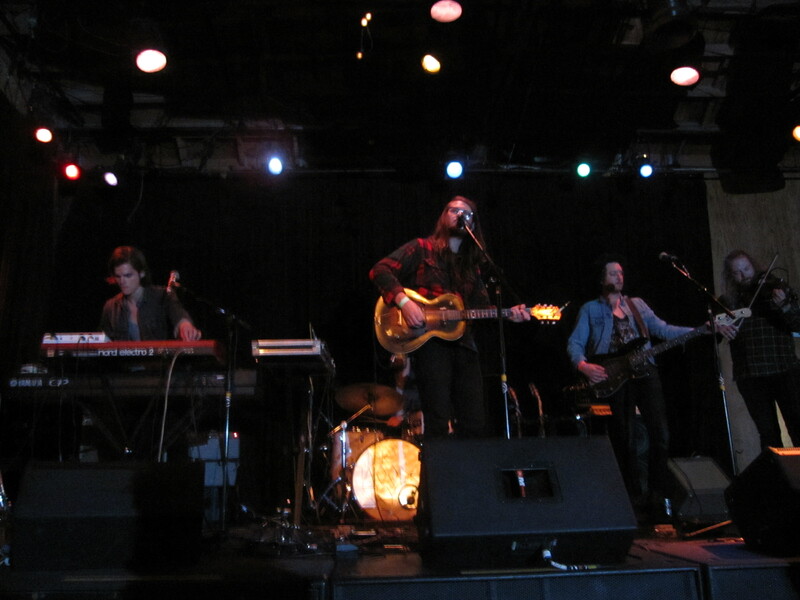 In appearance, the band looks like a mix of woodsmen and gypsies. Gardiner’s style is Jesus-meets-lumberjack, as he stands tall in his jeans and classic red and black checked flannel shirt with shoulder-length hair and dark-rimmed glasses. Huizinga appears to be cut from a very similar cloth, tall with a strong build and long, messy, fair hair that makes him look like a subdued Viking. 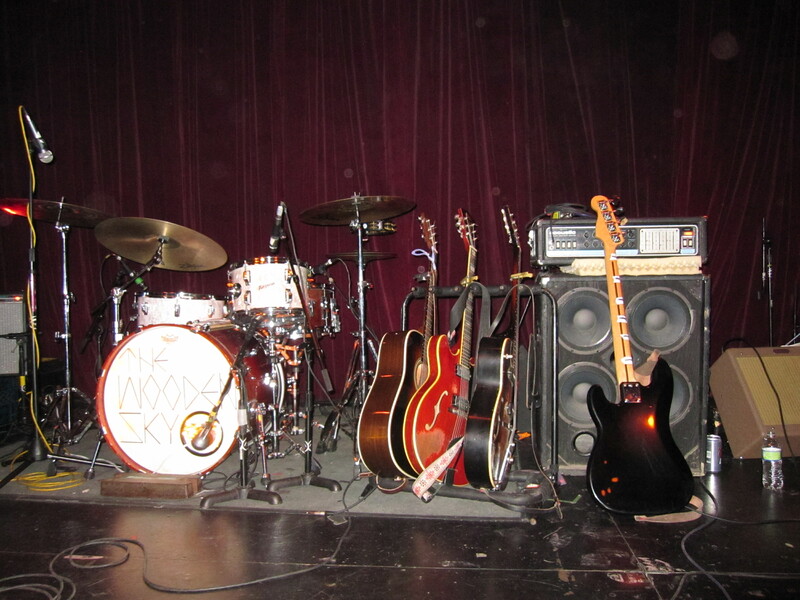 Wyatt and Walker have the stylings of a pair of beatniks with thinner builds and indie rocker duds, while Kekewich is barely visible, tucked away in the back behind the drum kit. 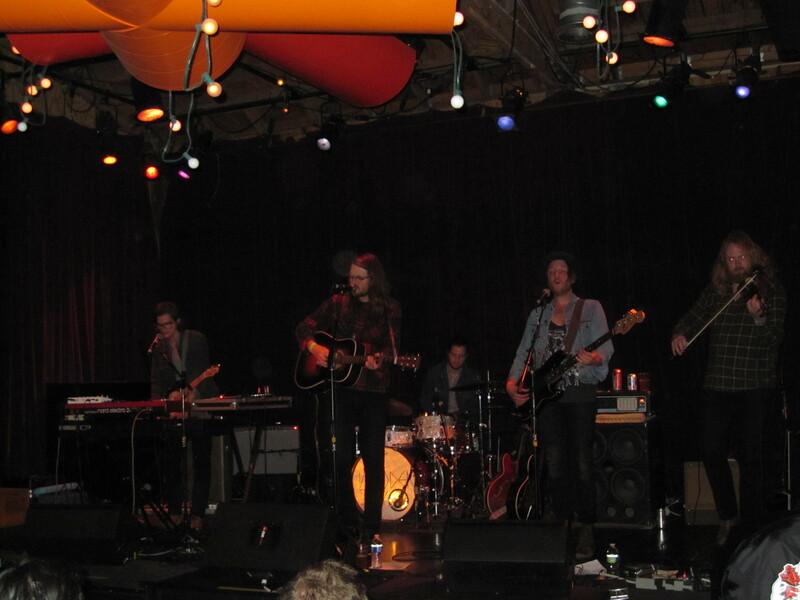 They began their set with “Child of the Valley”, and as son as Gardiner started singing, the room was captivated. His voice is clear and falls over the room in layers as it shifts from a low rumbling sound to soft whispers. The song has an eerie, whimsical quality that is enhanced by beautiful segments of violin and synthed out guitar pieces that are reminiscent of traditional Peruvian panpipe music. Their sound has all of the depth and polish of that of seasoned, professional musicians, but their energy on stage is low-key and humble. As they ease through their twelve song set list, I notice that none of the band members are really performing for the crowd. They appear to be just feeling the music as they create it, almost in a trance. 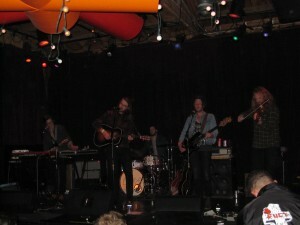 Wyatt and Huizinga play with eyes closed for much of the time and Gardiner also appears to be lost in his own world. It’s as if he is telling his story over a campfire, but is more focused on the memories than on his audience’s reactions. Walker is the most alert of the group, as he appears to be occasionally surveying the other band members’ statuses and Kekewich keeps to himself, ever busy in his world of percussive instruments. Their lack of affectation is a testament to the power of their music, as it requires no bells or whistles in the form of a stage show to keep the audience spellbound. The sound is a compelling presence in and of itself, at times a haunting and melancholic brand of Americana with heart-breaking violin, at others, a vibrant, gypsy-inspired folk rock with four-on-the-floor drum beats, jangly banjo, and tormented but spirited vocals. The band occasionally picks up the tempo with songs like “Angels” and “City of Light” only to bring it back down again with the soothing lullabies of “Dancing” and Bald, Naked and Red”. At times, Gardiner’s voice takes on more vibrato and angst and he moves with the music, tosses his long hair around, and rocks his head in time with the song. Before playing “Take Me Out”, Gardiner notes that it is a love song and dedicates it to the audience for “coming out on a Tuesday night”. 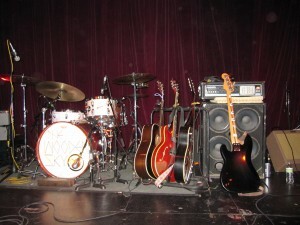 The band plays a couple more songs onstage before unplugging their PAs, moving onto the floor space in from of the stage, and finishing out the night with acoustic renditions of “River Song” and “Oh My God”. Even acoustically, the music is missing nothing and has the ability to completely envelop the room in a dreamy, enchanted world that no one would ever want to leave, and as they finish up their last song and bid us farewell, I’m left with the bittersweet feeling that is unavoidable when a beautiful experience must inevitably come to an end.